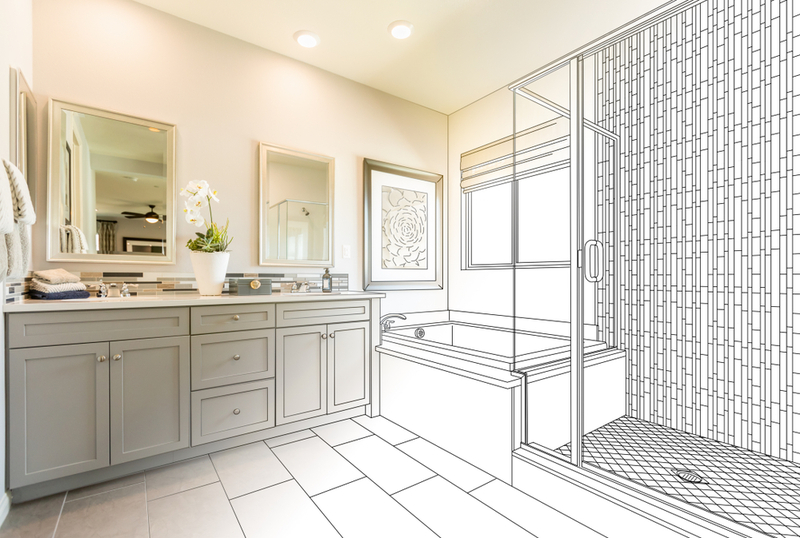 If you’ve recently taken out a personal loan to make some much-needed home upgrades, deciding which projects to take on may seem overwhelming. Do you start with the kitchen? Should you add a bath? While many projects are priced similarly, their return on your investment varies wildly. Here are five ways to make sure you use your new source of funding wisely. If you want to turn your unfinished basement into space to spread out, entertain, or even put a bedroom, you’re not alone. This is one of the most popular ways to increase a home’s value, but a rookie mistake could cost big bucks. Make sure you’re familiar with the rules and regulations for finishing your underground space; some updates (such as electrical or HVAC) will need inspections and approval to begin. If you want to sell your home down the road, know what lenders require of a basement for it to be included in the gross living area (GLA). For some lenders to count a basement as a bedroom, for example, it may need to be uniform in design and materials with the rest of the home, have a window or exterior door, or even feature its own source of heating and cooling. It’s worth considering the investment to give an outdated kitchen a facelift and upgrade cheap materials to those that will stand the test of time. Open kitchens with good lighting, ample storage and modern appliances often contribute meaningfully to a home’s value. However, you should steer clear of designs and materials that are very trendy, as they may date the kitchen down the line. Décor choices that limit a future owner’s ability to personalize the theme may cause more challenges in the future versus sticking with classic looks that appeal to everyone. If you plan on selling your home soon, consider making your bathrooms roomy enough for the features older home buyers will use the most. The country’s aging population will stay in their homes longer, and their bathrooms must be able to accommodate assistive devices and other safety details. Giving future buyers room to customize as needed will make your home an attractive investment. Update your room with modern amenities and offer wider doorways, shower stalls and vanities. Even if you aren’t selling your house, making these changes now can you help stay comfortable in your home as you age. While adding some insulation to the top tier of your home isn’t the most glamorous project, the ROI can’t be ignored. In fact, home inspections give lots of attention to how well your home is protected against heat loss. Realtors boast a return of 116 percent on insulation investment (the highest of all DIY projects). The best part of this project is that it’s a weekend job. You can use your home loan funds to buy the materials and install them yourself, or hire a professional to blow in insulation for you. Either way, it can help increase the value of your home and also help save on your utility bills. Don’t overlook your garage — it has tons of potential to boost your home’s value. Some owners prefer to convert their garage into an extra bedroom, but that isn’t always the best option. Most buyers want all the homes in a neighborhood to have similar perks, so if all your neighbors have garages but you’ve turned yours into a bedroom, your home’s value can go down. Also, the square footage of a garage conversion may not be counted in the official living space tally. Check your local ordinances before taking space from your cars. For a quicker fix, you can upgrade your garage door to one with extra insulation or a carriage-style design. New garage doors keep their value well, and a professional can install one in a day. When it comes to home remodeling projects, your mileage will vary. What works in one part of the country may flop in another — and HOA rules and local codes will all be deciding factors. In the end, however, pick the projects that speak to you personally. Even if you choose to sell later on, it’s important that you feel happy to call your house a home while you’re living in it. Linsey Knerl is a personal finance expert, author, public speaker and member of the ASJA. She writes for Upstart and has a passion for helping consumers and small business owners do more with their resources through awareness of the latest financial services.